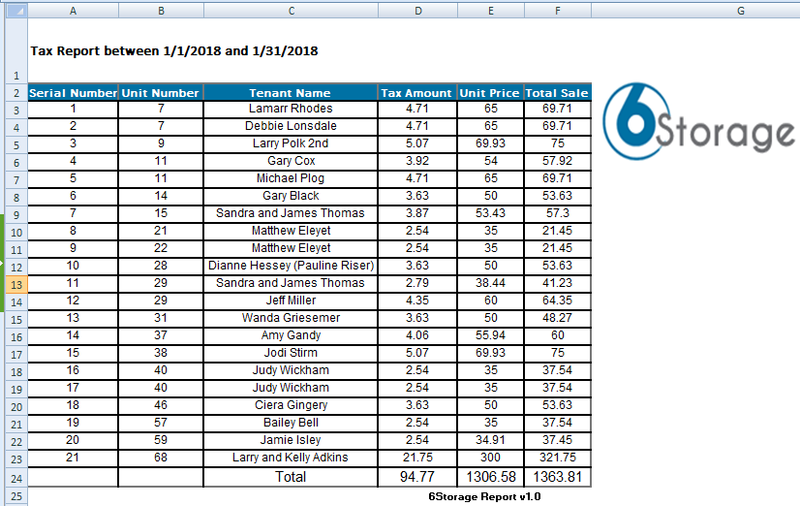 How to export a sorted report? From the Main menu click on Reports. 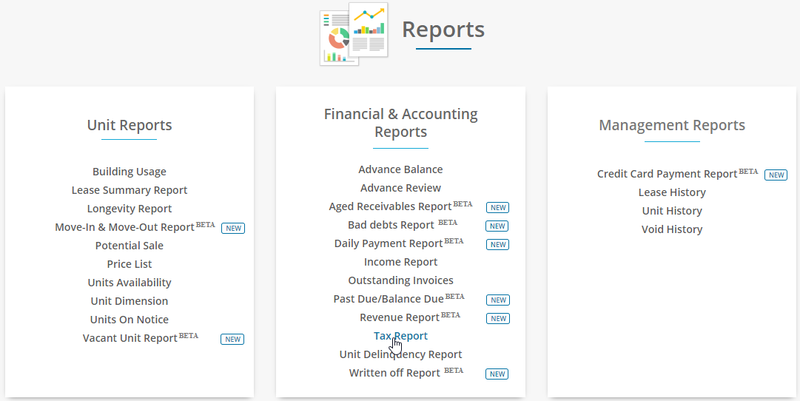 Click on reports of your choice, As a example we have selected Tax Report. Select Location and search criteria based on the requirement. Now, Click on Get report. You could able to view the reports based on the search criteria , If you wish to sort the table click on double headed arrow on any of the column header. Here I am trying to sort Unit Number column. Now you could able to see the sorted list of Unit Number column. This report with sorted order can be exported in Xls or PDF format.